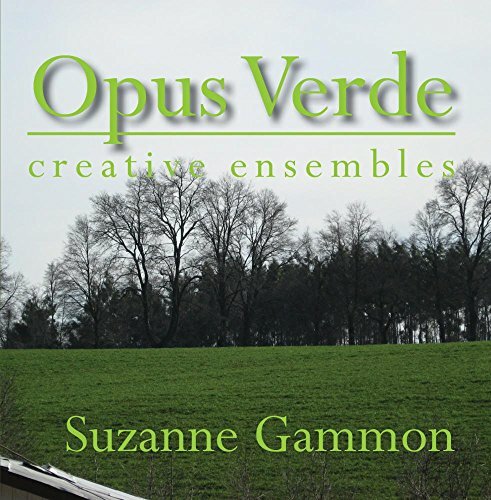 Opus Verde is a collection of instrumentals for mixed ensembles to include chamber orchestra. Suzanne Gammon is an American composer influenced by the beauty of southern Chile. Her "Tribute to Araucania" is a suite of musical landscapes. The "Forests of Lonquimay", has it's roots in the mystical and unique instruments of the indigenous people of the area. The "trutrukca", the "kultrun" and the wooden flute.Trombones, drums and recorder take on the challenge of simulation as does the timpani for the volcano Llaima. The "Hoben-pon", is a musical interpretation of passages of the Lotus sutra.The strict verse has very few lyrical sections but it is these passages the composer has isolated into musical sound. Latin and Jazz elements weave in and out of few of the pieces. "Lunch Break" pulsates and celebrates noontime in the U.S.A., while "Pink Coconut Fudge" goes retro 1935 to grandmother's recipe.